Phyllis Alexander has been a civil rights professional for over twenty years and has worked for both corporate America and city government. Phyllis served in three roles with the City of Allentown. First as the Director of the Bureau of Human Relations & Equal Opportunity, an organization responsible for civil rights enforcement and educational programs which encouraged acceptance and celebration of diversity. Ms. Alexander later worked as the Director of the City of Allentown’s Weed and Seed initiative, a community safety and revitalization program. Phyllis retired as the City of Allentown Neighborhood Coordinator. She has a Bachelor’s degree in economics from Bradley University and a Masters in Community Economic Development from Southern New Hampshire University. Her community engagement includes volunteering as a board member of the Freedom Memorial, a local non-profit dedicated to commemorating the life and continuing the work of Dr. Martin Luther King Jr. & Coretta Scott King. She is also the Vice President of the Resurrected Community Development Corporation (RCDC), a faith based non-profit dedicated to social justice and has been recognized for her community service by receiving the Allentown YWCA Women’s Leadership Award and the Humanitarian Award from the Allentown NAACP. 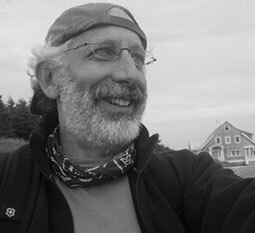 Ira Baumgarten has been with NCBI since 1995. He’s a Senior Consultant and is the National Coordinator for NCBI’s school based diversity and leadership programs and coordinates the NCBI Chapter in Albany, New York. Most recently Ira has been combining the NCBI training with area high school theatre programs to create youth written and performed stories that highlight overcoming prejudice and building strong relationships across diverse cultural groups. Prior to becoming a NCBI consultant, Ira worked for over twenty-five years administering education and training programs for the Civil Service Employee Association (CSEA) and the United Auto Workers and Ford Motor Company. At CSEA he was responsible for the negotiation and administration of the educational benefits for the CSEA-State represented workforce. In that capacity Ira was instrumental in bringing diversity training to New York State agencies to assist in helping state workers serve an increasing diverse population. Ira has a Bachelor of Arts degree from State University of New York at Oneonta and a Master’s Degree in Adult Education from Syracuse University. Andi Geu joined NCBI Switzerland in 1998. He became Director of the Bern chapter in 2003 after graduating from the University of Bern where he received a Master’s Degree in Philosophy and Sociology. 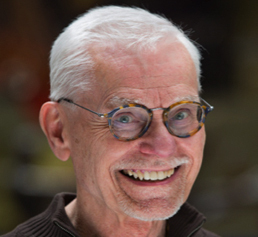 His academic work included such topics as the intersection of Philosophy, Psychology and Sociology, with a focus on the Philosophy of Emotions and Gender Studies. In 2009, he became the Director of NCBI Switzerland responsible for overseeing all 7 NCBI Swiss chapters. In 2007, Andi was appointed an NCBI Regional Director and became the Director of the NCBI Men’s Affinity Group. For more than 18 years, Andi has led trainings and projects that focus on reducing discrimination and prejudices, violence prevention, conflict resolution, strategies to intervene in violent situations in the community, and gender issues. He has become one of Switzerland’s leading experts on these topics, contributing numerous articles and book chapters published in the German speaking areas of Europe. Dr. Glenn is a collaborative leader with over 25 years of higher education experience - the last 20 years focused on leading diversity and inclusion initiatives. Idella is currently serving as Special Advisor on Inclusivity and Diversity at Hollins University in Roanoke, VA. Before coming to Hollins, she served as Virginia Commonwealth University’s Director for Diversity Education and Retention Initiatives within the Division of Inclusive Excellence. 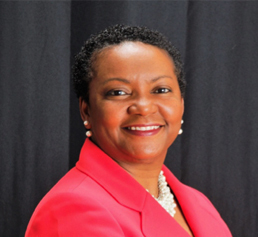 She spent 18 years at Furman University in various student affairs and diversity roles. Dr. Glenn has earned designation as a Certified Diversity Professional (CDP) and is a Qualified Administrator of the Intercultural Development Inventory. She also serves on the National Advisory Council of the National Conference on Race and Ethnicity. Dr. Glenn earned a bachelor’s degree in computer science/math from Furman University, a Master’s in Higher Education Administration from the University of South Carolina and a Ph. D. in Educational Leadership from Clemson University in 2008. Dr. Ideta serves as the Regional Director of NCBI Hawaiʻi and is a senior leader in the International Asian Heritage Affinity Group. 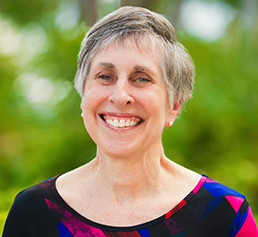 Dr. Ideta has been involved in leading diversity and conflict resolution work since 1994 and has trained groups in Hawaiʻi, on the continental United States, and in England. Dr. Ideta is a proud product of Hawaiʻi’s public school system and is a first generation college attendee. Dr. Ideta earned her Bachelor’s degree in Elementary Education and her Master’s and Doctoral degrees in Higher Education Administration. 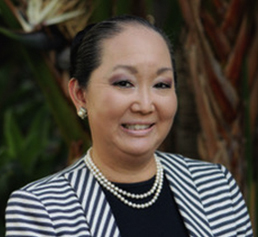 Dr. Ideta currently serves as the Interim Vice Chancellor for Students at the University of Hawaiʻi at Mānoa and has nearly 25 years of experience in the college and university setting. Dr. Ideta is a tenured full-faculty member and serves as a graduate faculty to the College of Education where she teaches courses in the Educational Administration and the Educational Foundations departments. As a yonsei, fourth-generation Japanese raised in Hawaiʻi, Dr. Ideta’s interests center on the intersections of cultural, ethnicity, identity, gender, and leadership. Steve Jarose learned of NCBI 20 years ago when his agency adopted the NCBI “Welcoming Diversity” model for its workforce of 3,300 employees. Since then he has applied NCBI leadership principles to all aspects of his job as Director of Staff Development and Training and subsequent community engagement initiatives. As Director of NCBI Rochester, Steve’s areas of expertise include organizational consulting; diversity, inclusion and cross-cultural relations; change management; and creating accessible learning environments for all. 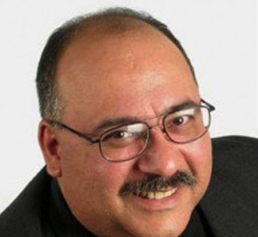 Guillermo Lopez, Jr. serves as Co-Director of the Law Enforcement Division for the National Coalition Building Institute as well as the NCBI's Latino/Hispanic Affinity Group. He is a first generation Puerto Rican-American, born and raised in Bethlehem, Pennsylvania. Employed by the Bethlehem Steel for 25 years, Guillermo retired in 2000 and has since continued the work he began at Bethlehem Steel as a Joint Civil Rights Representative for the United SteelWorkers of America and the Bethlehem Steel Corporatiion. 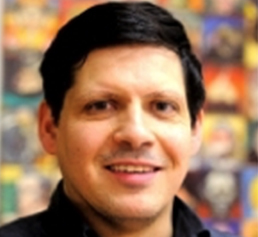 Guillermo served as Executive Director of Casa Guadalupe, a non-profit community center in Allentown, Pennsylvania with a focus on health promotions and social services and supplemental education as well as the Jesus Ramon Senior Citizen Center. Guillermo’s successful rejuvenation of Casa Guadalupe lead to his selection in 2003 as a participant in the Health Forum Fellowship Program/ Creating Healthier Communities Fellowship. Now in its eleventh year, the Fellowship is an intense, year long opportunity that develops leaders who can advance a new vision of population health. Guillermo graduated from the Fellowship in July of 2004. Stephanie Low has worked as an educator for more than 30 years working in both public and private schools, primarily, but not exclusively, on the elementary school level. She has focused her work on assisting school systems in creating more inclusive environments and working extensively to eradicate bullying, teaching conflict resolution and addressing issues of prejudice and discrimination. Understanding that the most effective strategy for manifesting systemic change requires cooperation and commitment from the entire community, Stephanie worked with administrators, teachers, parents, community members and students. 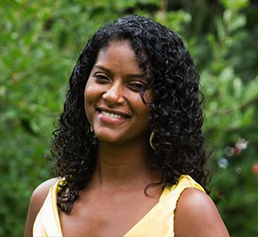 Stephanie also works with community social justice organizations as a trainer and coach. 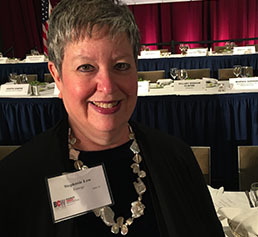 Stephanie became involved with NCBI more than 24 years ago and has served as the director of the Metropolitan NY Chapter of NCBI and is currently the leader of the Jewish Affinity group as well as an NCBI board member. She has a Master’s degree from Columbia University’s Teachers college and is committed to ongoing education in the fields of diversity and counseling. Sue Parris is the Director of the European Heritage White Race Identity Affinity Group, and Regional Director for NCBI in the Western U.S. With more than 25 years experience as a consultant and facilitator she assists government agencies, non-profit organizations, and corporations throughout the U.S. with Equal Employment Opportunity, diversity and equity issues and organizational development. She has consulted on equity initiatives, conducted work environment assessments, training, team-building and conflict resolution for a wide range of organizations. Sue particularly enjoys working with nonprofit, community-based organizations and finding opportunities for coalition and collaboration. She has been adjunct faculty for Golden Gate University and Antioch College, as well as a certified trainer for California Board of Corrections staff. She currently serves on the California State University Monterey Bay College of Health Sciences and Human Services External Leadership Council as well as the Monterey County Whites for Racial Equity steering committee. 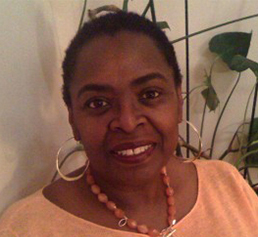 Joyce Shabazz is a family and community mediator with 30 years of experience. 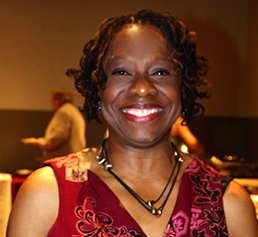 She has served as the Director of the NCBI Black African Heritage Affinity Group since 1995. Ms. Shabazz attended Tuft’s University, Medford, Massachusetts, Boston College Law School, Advanced Divorce Mediation and Fletcher School of International Law and Diplomacy. As an adjunct professor at Lesley University, Cambridge, Massachusetts, she has taught courses for the Master of Education Curriculum and Instruction Program focusing on violence prevention, race relations and mediation. Ms. Shabazz is a human development practitioner and counselor. She has led anti-racism programs for dozens of organizations, including The City of Boston’s Department of Health and Hospitals, Harvard Medical School, Dimock Community Health Center, Brigham and Women’s Hospital, Greater Lynn Community Health, Services for Mental Health and Family Support Cambridge Public School System, Massachusetts Partnership for Health Communities, Mt. Auburn Hospital Emergency Admission Department and the American Medical Students Association. Deborah Terry-Hays, MSW, MHD, currently serves as Director of the NCBI's Women’s Affinity Group. She is an international trainer, consultant, facilitator and scholar with over thirty years of experience in social activism and anti-oppression work. She recently retired as Senior Director, Organizational Development from Sound Generations, and continues to teach Social Justice education at the University of Washington’s School of Social Work. 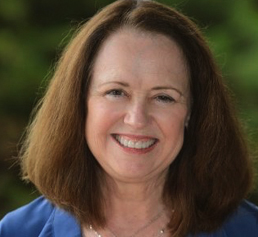 Deborah’s consulting work includes training of management teams where leadership and communication styles may be problematic to solutions. 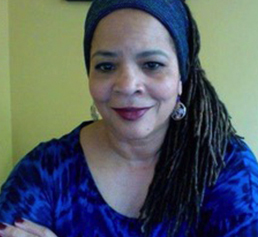 A native of Seattle, Washington, Deborah has served on the Seattle Women’s Commission, been a Board Member of the African American, Jewish Coalition for Justice, and of the Black Women’s Alliance. Deborah recently became certified as a Grief and Loss specialist. When she is not working Deborah enjoys spending time with her extended family, writing, and becoming a proficient ballroom dancer. Cherie Brown has had a lifetime commitment to doing social justice work. She founded NCBI in 1984, with a goal of training activists and leaders all over the world in the coalition building skills necessary to end the divisions that separate people. Ms. Brown has an M. Ed in Counseling and Consulting Psychology from Harvard University and over the last thirty-four years, in partnership with many NCBI Leaders, has built NCBI into one of the leading diversity training and grassroots leadership organizations with chapters or Affiliate teams in over 40 communities worldwide. Jennifer Plantin joined NCBI in October 2015 in the role of Administrative Coordinator at NCBI headquarters. She has dedicated her professional life to social justice by working in Non-Profit Administration for over 10 years in the US and in her native country of Haiti. Her work experience spans from private foundations to intergovernmental agencies where she provided management support to multiple gender equity programs. Prior to working at NCBI, Jennifer was the Director of Fondation Lucienne Deschamps, a private foundation devoted to increasing access to education for economically challenged children. Jennifer earned a Bachelor’s degree in Business Administration with a minor in Accounting from Rust College in 2009. In 2013, she obtained a Certificate of Gender & Development, Gender Mainstreaming Strategy from the International Labor Organization’s Training Center. She is currently working towards earning a Master’s degree in Applied Economics at Johns Hopkins University. In her free time, Jennifer sits on the Organizing Committee of the Annual Fundraiser for Roots of Development.